When rapper and Chicago native Kanye West met with President Donald Trump last week, he said more manufacturing jobs are needed in the Midwest, specifically in Chicago. The meeting between the two drew criticism from some celebrities (rapper T.I. and supermodel Chrissy Teigen among them) and social media commentators, but what West brought up may ring true in numbers: although manufacturing is the third largest industry in Illinois with more than 580,000 workers, the state’s sector falls short in comparison to its Midwestern neighbors. “Since the recession ended in June 2009, we’ve added about 18,000 new manufacturing jobs, where our neighboring states have added about 64,000 on average,” said Mark Denzler, vice president and chief operating officer of the Illinois Manufacturers’ Association. Denzler said state and local regulations – including workers’ compensation rates, property taxes and environmental regulations – have contributed to the state’s struggling sector. “We’ve seen a number of companies … leave to go across the border to Indiana because they were saving hundreds of thousands of dollars a year,” he said. Another battle for Illinois’ struggling manufacturing sector: attracting more young people to the industry. 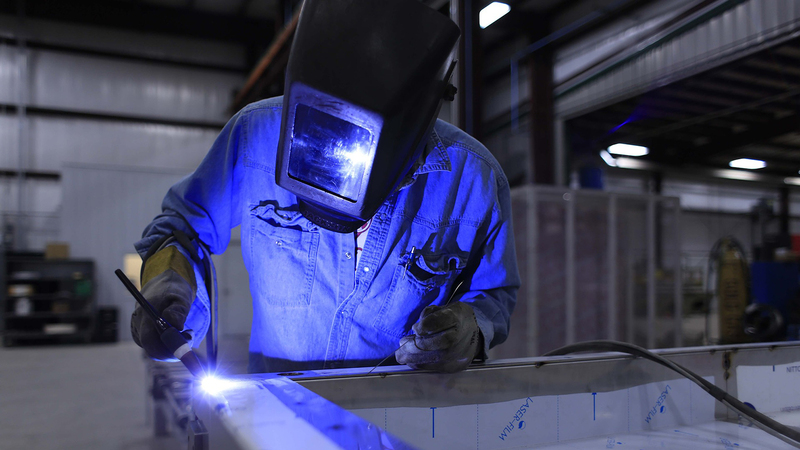 A recently released survey from the National Association of Manufacturers found that just under 94 percent of respondents say they’re optimistic about the industry. But that same survey found more than 45 percent cite “inability to attract and retain workers” as the biggest threat facing business. Baise said gone are the days when high school graduates could walk to their local factory for a job and retire after 40-some years. “You have a different kind of manufacturing worker today than you did some 25 years ago that’s going to need some basic understanding of how to operate a machine, coding experience, be able to program a machine, be able to recognize its problems,” said Baise, who will be stepping down from his post by the end of the year. Showcasing how much the industry has changed can help get more young people interested in manufacturing, said Denzler. Denzler will be replacing Baise as the new head of IMA in January 2019. Baise held the position since 1991 – shortly before an older trade agreement was approved by Congress: NAFTA. “It was quite controversial at the time … not all manufacturers were in support of that effort,” Baise said when asked about the biggest changes he’s seen during his 27-year tenure. The feelings then are much like the feelings about Trump’s United States, Mexico, Canada Agreement, or USMCA, announced Oct. 1, he said. “The jury is still out on all of the aspects of the new arrangement, so we’ll still have to see how those play out, but on the whole, the IMA’s membership is generally supportive of free trade activities,” he said. Baise and Denzler join us in discussion.